If you want to live a more fulfilling and happier life then you need Zen Mastery. This is the optimal guide to show you the way towards achieving your potential by opening your eyes, gaining more focus and attaining inner peace. There is a balance and when you can achieve that balance mentally, physically and spiritually, your life becomes so much better. In this ebook which complements the Zen Mastery video course, you will discover the art of Zen and how to adopt it and make it a part of your life. It will help you declutter your mind and everything around you so you can find peace and harmony. You’ll be far more productive, have more ambition, be able to focus only on the things that can improve your life, do away with all the negative stuff surrounding you, and move towards achieving your goals. You’ll learn about the history of Zen and how people have adopted it successfully, how to find calmness, how to lower your stress levels and practice breathing, removing certain bad habits, how to be happy, following a routine in order to get where you want to go a lot faster and much more. Change doesn’t happen at the switch of a button. There’s a process involved and when you adopt Zen into your life, things will pick up pace quicker with your best effort. Now’s the time for change. 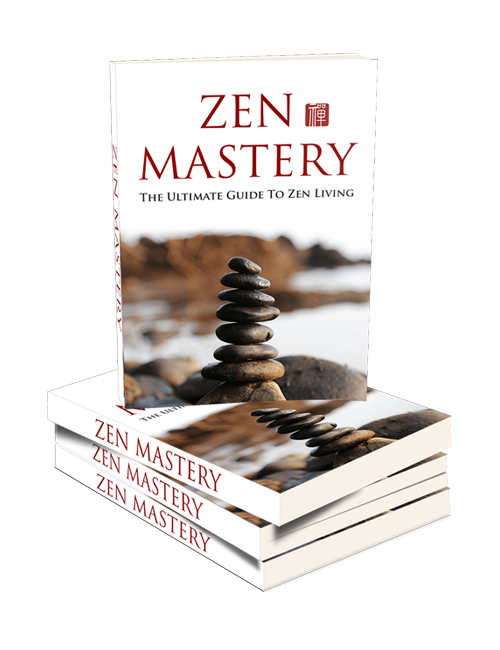 Grab Zen Mastery now.